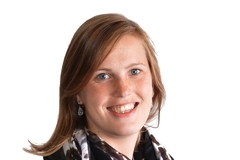 Wendelien Sanderink is a PhD candidate at the Advanced X-ray Tomographic Imaging group within the department of Radiology and Nuclear medicine at the Radboud university medical center. She studied Technical Medicine at the University of Twente in Enschede. In April 2016, she started on the KWF funded project “Minimal invasive breast cancer excision using the breast lesion excision system under ultrasound guidance”. She is supervised by Ritse Mann and Nico Karssemeijer.